This invitational exhibition showcases artists who are creating new work that explores memories of place and home, both those they left behind and or those they inhabit now. Home could be interpreted as country and geographic location, as well as the physical and emotional memories they attached to places which have played a significant role in their lives and in how they remember them. This included people, places and things. Implicit in this is the journey we undertake to establish those places we come to call home and how this journey comes to shape our identities and us. 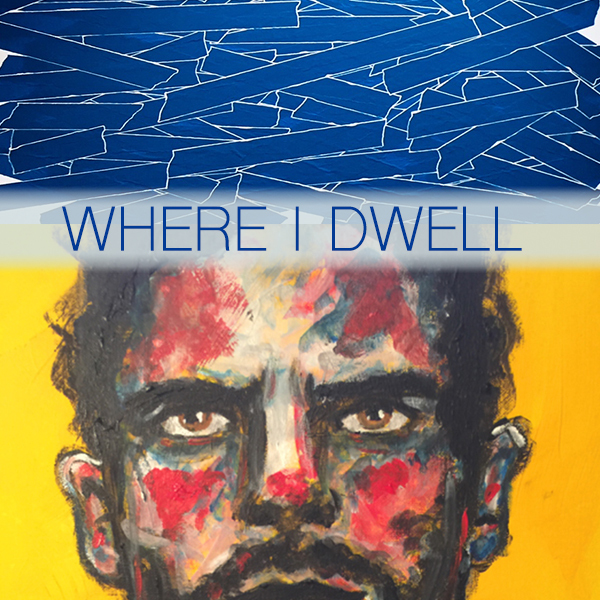 We will be collaborating with Casa De Duende and 12 Gates Arts on this exhibit. Maggie Lee: "From the moment I began to understand that every morning-night-morning cycle that passed meant I was another day older, I wanted time to stop. No longer my parents’ child, I have always felt deeply the swift and unrelenting nature of time-- the way it changes our circumstances, our relationships, ourselves. Photography is a countering force. My photos are souvenirs from this ongoing journey, preserving the moments. I am a Chinese-born Philadelphian. I was raised in Chinatown by an atheist father and an agnostic mother, who are from the era of the Cultural Revolution. In school I was reared in Catholicism by nuns. My identity was a conundrum, created from the clash of these opposing belief systems. These photos document a recent trip my family and I took to visit our family, our hometown, and other historically significant places. They are my attempt to reconnect with the traditions of my parents and grandparents." Tiantian Li is a painter who was born in Guangdong Province, in southern China. She graduated from a top Chinese art school--Central Academy of Fine Art with a master degree in 2016. Now she is studying in the MFA program at Pennsylvania Academy of Fine Arts. She has exhibited in Asia and Europe. She has good relationships with Asian and Germany galleries. Her work has also been shown in many major art museums in China, such as National Art Museum of China, CAFA Art Museum, GAFA Art Museum, Shanghai Oil Painting Sculpture Institute and Song Zhuang Museum. Currently she has been included in many shows in the Philadelphia area. My works are diversified, including of watercolors, oil paintings, collages, scanography and installations. I have always been interested in touching the nerves of woman's unique emotions.. In my painting, I always think about texture. Texture for me is like a special sense, evoking passion and helping me to express subtle emotions. In my watercolors, the different textures of the fabric, light or weaving complex, are like a misty affection I also like to combine old fashioned subjects with new ideas, combining my inspirations together as a way to express my ideas. Like hand mirrors, what can we see in the specific way? Which is the real world? What is the future? Enzhao Liu, a member of Philadelphia Tri State Artists Equity, is a painter working in Philadelphia. Liu graduated from China’s top art school Central Academy of Fine Art with master degree in 2015. Since then Liu has exhibited in major art fairs which for the best galleries in both Asia and United States, among which are Art Basel Hong Kong, Art Beijing, Art Taipei, Seattle Art Fair and LA Art Show. Liu just had his solo show Revival of life at the Main Line Unitarian Church in Devon, PA. Liu’s work has also been shown in many major art museums in China, such as National Gallery of Art, CAFA Art Museum and Zhu Zhong Museum of Art. Liu’s paintings are in the collections of CAFA Art Museum and Ningbo Museum of Art. In 2017, Liu won the PAFA Venture Funds and The Second Prize in the Philadelphia Tri State Artists Equity Fall Juried Exhibition. He has exhibits scheduled for upcoming shows and projects with InLiquid Gallery and Avery galleries. His project will be installed at the Philadelphia international Airport in the spring of 2019. "My newest paintings continue to explore the ways in which paintings are constructed and perceived. Employing four consistent components-bird, flower, composition, and perspective, my careful arrangement of the figurative components challenges viewers' usual experience of the representational arts, positioning the viewer in an unexpected discourse with natural and unnatural, foreground and background, objecthood and artifice. My paintings are meant to make the viewer experience the contemporary oil paintings with the traditional Chinese paintings’ multiple perspectives. “Birds-and-Flowers” is one of the main subjects of Chinese painting, and can be traced to Five Dynasties (907-960). I use the traditional multiple perspectives theory with nontraditional arrangement in my painting. "I was born in Santiago Chile. I began studying drawing and painting at the age of thirteen. Urban escapes and the dynamics of peoples lives were essential in the development of a socially oriented consciousness that influenced and guided my artistic path. I studied at the University of Chile and received my Master’s in Visual Communication. I moved to Italy where I had the opportunity to study art history and oil painting. While in Italy, I participated in various important art events and solo shows, this experience was fundamental in the improvement of my pictorial technique and helped to reinforce the vision of the role art plays in our modern society and time. While in Philadelphia I have participated in exhibitions as a member of 3rd Street Gallery for the last seven years, affording me the opportunity to have solo and groups shows along with many other important Philadelphia artists. This year, I had the honor of participating in an important exhibition at the “Capturing Realism 2017” Biennale held in Misericordia University in Dallas, Pennsylvania. Currently I’m working for COMHAR Org. developing art projects for mental and physically disabled individuals in Philadelphia, the Barnes Foundation Community Engaging Program, and I collaborate with PAFA in the “Latin Community Program” and Art Reach Org. for mental and disabled members of our community." Bernardo Morillo is a Colombian interdisciplinary artist who works in a variety of media including: painting, film, video and photography as well as performance arts. He initiated his career at Universidad Nacional de Colombia in Bogotá, Colombia and graduated from the University of the Arts in Philadelphia, where he taught a production workshop in the film department. Bernardo Morillo is interested in all aspects of storytelling. He has performed as a storyteller in Philadelphia area venues such as The Free Library, The Philadelphia Museum of Art, and The Painted Bride Art Center in Philadelphia, among others. As a photographer, he has exhibited in venues such as Pagus Gallery, and in 2012 was a guest panelist at the Barnes Foundation. A two time Emmy award winner, as film editor/director Bernardo Morillo has over 15 years of experience cutting and directing film and video in every format imaginable. Everything from web content and feature length documentaries to short films and commercials have been shaped in his editing room. The invisible art of editing involves a lot of listening. Understanding the flow and the dialogue between all the departments of production is essential to guarantee success in the editorial process. Donghee (Amy) Oh was born in San Pedro Sula, Honduras, and has lived in six different countries, such as: Honduras, Mexico, Nicaragua, South Korea, Cambodia, and the United States. She acquired her Bachelor of Fine Arts degree in Painting and Drawing at Tyler School of Art and is currently based in Philadelphia, working at Da Vinci Art Alliance as the Artistic Planning and Development intern. "My work generally revolves around the concept of belonging, the idea of home, and the differences and similarities that lie in different cultures/languages/countries, often questioning the idea of society, and human interaction. I like to explore the complexities of the self in relation to one’s environment and challenge to think beyond the constructs of what can be articulated with words. Through using repetition and layers, my work examines the intricacy in human experience and articulation." Jordi Sabate was born in Barcelona, near the Mediterranean Sea. Coming from this great inspirational and artistic city, his fascination with art began at an early age. Always with a pencil in his hand, Jordi's earliest works reflected his love of nature, animals, music, and old movies. At a young age, Jordi began studying in the art schools of Barcelona and Madrid, including Escola Joso and ESDIP. Jordi's life experiences brought him to the United States in 2006 where he obtained a bachelor's degree in Graphic Design at the Art Institute of Philadelphia. Jordi Sabaté's style of art reflects the timeless theme of the human body through his eyes. He works in several mediums, such as graphite, acrylics, watercolor, and digital. Jordi has a close relationship with the LGBT community and reflects this in his work. He has received several awards in LGBT-related art contests and is proud of the career he has created within this community. His work most recently received awards in a Juried competition at the William Way Center in Philadelphia and in the Type with Pride Contest of 2017 in New York.